I read the book first, but I confess I skipped over much of the "digressions" I guess you would call them and skipped around just to follow the plot. I guess I'm a lazy reader that way. Now to hear them read to me, especially the French phrases and names I had so much difficulty with, I feel I'm getting a whole new perspective. Yes, Davidson is challenging at times but if you listen closely, he really does a beautiful job narrating. Check out his "I Claudius" for a truly superb narration. This is a brilliantly narrated version of the classic book. And not a bad translation, either. Definitely worth a credit, and then some. Prepare to devote large chunks of time to this because you won't want to stop. 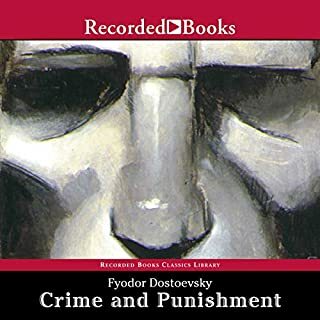 The "action" is the self-righteous stream of consciousness rantings of the immortal anti-hero, Raskolnikov. One can't help but both loath him and cheer him on at the same time. Over 100 years since it was written and this story remains both entertaining and intelligent. This is dangerous, thought provoking writing at its very best. 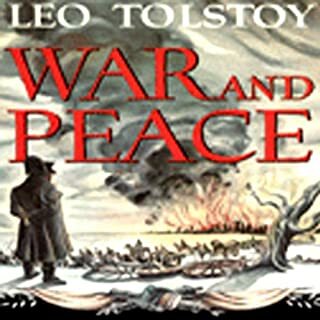 Leo Tolstoy's sweeping epic describes Russia between 1805 and 1820, centering on the 1812 invasion of Napoleon's army and the Russian resistance to it. The novel has over 500 characters, all carefully rendered, who cover every social level from the nobility to the peasantry. 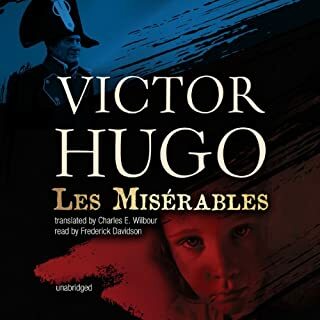 The main characters include Natasha Rostova, Prince Andrey Bolkonsky, and Pierre Bezukhov, all of whom progress from youthful uncertainties toward maturity. Tolstoy himself was born 16 years after the invasion and grew up in a Russia that was still recovering from the carnage. Terrible narration. Snide, supercillious tone. He doesn't act the parts or even give them different vocal inflections. My overall feeling was that it's like having someone read the story at you instead of to you; like they were bored, angry and resentful. Such a classic deserves a better narrator. Also, the translation contained several expressions that were clearly 20th century.